Last week I posted my 2017 Top Ten most read blog articles from my own site – GenealogyAtHeart. 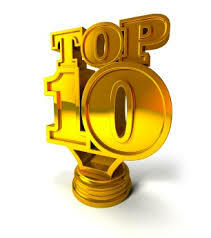 Today, I’m posting my Top Ten blog articles I wrote for publication by AncestorCloud/Trace now known as Genealogists.com and Family History Daily last year. Enjoy! Lineage Societies – What gives?! Take Care With Those Hints!